Castle Air provides clients with a variety of options and service techniques to help combat the effects of the harsh coastal environment. Call us today and we will revitalize your system and help prevent any further damage due to salt corrosion and weathering. 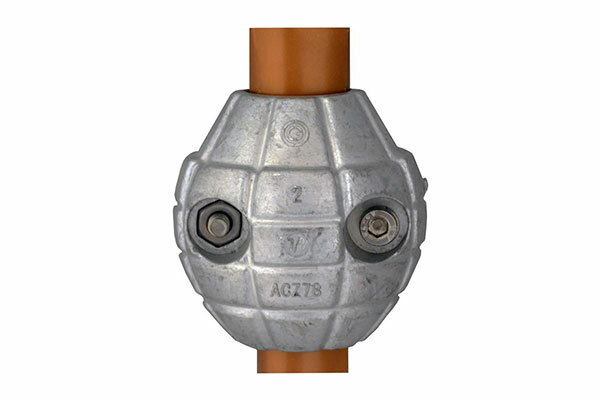 The Corrosion Grenade protects metal parts by acting as a “sacrificial anode.” It corrodes instead of expensive A/C parts like aluminum fins, copper piping, and galvanized steel. The marine and plumbing industries have been using “sacrificial anodes” for decades to protect other functional parts from galvanic corrosion. By adding the Corrosion Grenade to the assembly, the zinc becomes the weakest metal and therefore, is the one that corrodes. Extend the life of your air conditioner or heat pump today. Green Fin Coil Protector is a unique air-dry coating that provides corrosion protection in environments where traditional coil coatings fail. 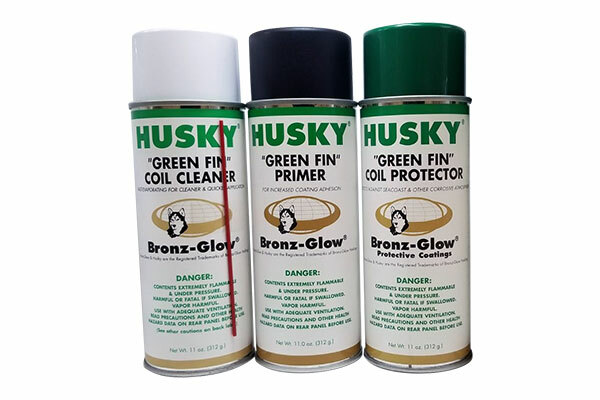 Formulated around a synthetic base, at 1.5 to 2.5 mils dry thickness, Husky Green Fin Coil Protector provides effective corrosion protection in virtually any operating environment. 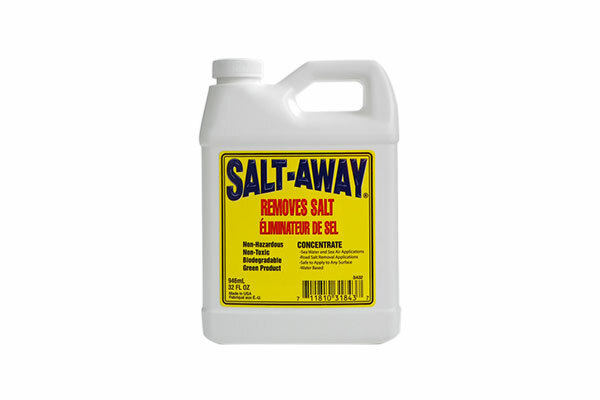 The Salt-Away solution immediately dissolves any soluble contaminant. Flow (run-off) caused by gravity is required to remove salt and other solubles. As flow begins, ingredients in the product will not allow the contaminants in their dissolved state to attach to the surface, and a “sheeting” effect is created allowing the flow to move the contaminants all the way off the equipment. In areas that stay wetter longer and are primarily inaccessible or where salt is trapped, the corrosion inhibitors in the product will keep equipment from rusting and corroding from the inside-out.